"The ... juvenile report raised issues including racial disparity in the disposition of cases, insufficient legal representation for juvenile offenders, and questions about our juvenile court structure," Breckenridge said. "While some of these issues may be pervasive throughout the country, this does not diminish them." "We all need to do everything we can to ensure that every individual in every case in our system of justice is treated with respect and has his or her case adjudicated fairly and impartially according to the law," Breckenridge said. "Until that is true in 100 percent of our courts, we cannot rest. 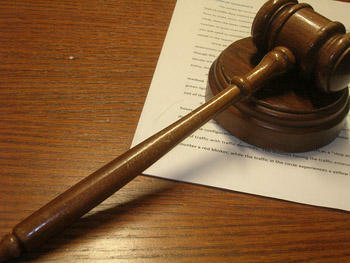 Even a perception of justice denied anywhere should concern us all, no matter who or where we are." When she announced the commission, Breckenridge gave credit to Judge George Draper and Missouri Bar President Reuben Shelton. The commission will file its initial report by June first of next year, followed by annual reports at the end of each calendar year. It's co-chaired by appeals court judge Lisa White Hardwick, St. Louis attorney William Bay, and Michael Middleton, deputy chancellor at the University of Missouri – Columbia. The order establishing the commission includes the names of all 52 members. Those from the St. Louis area include Salim Elias Awad, Susan Block, Winston Calvert, Gerard Carmody, Patrick Chavez, Keith Cheung, Gonzalo Fernandez, Erica L. Freeman, Sandra Hemphill, Levell D. Littleton, Annette Llewellyn, Susan McGraugh, Kimberly Norwood, Geetha Rao Sant, Booker T. Shaw, Annette Slack, Karen Tokarz, Lynn Ann Vogel and Michael L. Walton. 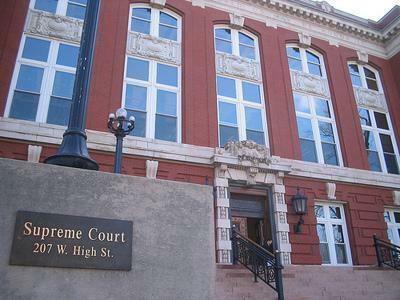 Earlier this year, the state Supreme Court also created a work group to focus on municipal courts in Missouri. Mary Russell says she's mostly satisfied with her two-year term as chief justice of the Missouri Supreme Court, which ends next week on June 30. 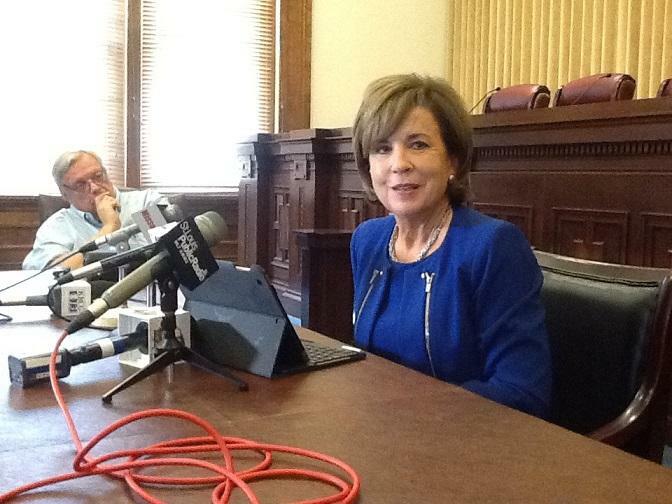 She took over as chief in July 2013 after fellow Supreme Court Judge Richard Teitelman wrapped up his two-year term. Russell's tenure coincided with the resumption of executions in Missouri, which have been on a record pace as 16 convicted killers have been put to death since November 2013. Russell says the increase is due to several factors.